One of the differentiating factors of VŌG from other agencies in town is that we have a state- of-the-art, in-house production studio where we can produce audio, video and interactive web assets. Our production team works side-by-side with our media buying and creative teams, creating a synergistic, holistic and interactive multi-media marketing campaign. All of our projects are created, tracked, and shared with our clients through a secure online project management portal which is tailored for the production process. Task management with forum-like interaction and graphical process tracking are just a few of its capabilities. From radio ads to audio/visual presentations with audio to musical scoring, VŌG has the talent, equipment and expertise to produce top-notch, effective sound for all your internal and external marketing initiatives. Music is the universal language that gives life to any message. And music is the most emotionally influential element. Not only does VōG have a long history of music composition and production, but we have access to thousands of royalty free pieces to utilize. With 4600 Square Feet of studio space, including a 270 degree cyclorama room and a large sound stage studio, there are no limits to our production capabilities. Whether you need a 3D animated logo for your website or an internationally broadcasted television series, VOG has the expertise combined with affordable solutions for you. VOG is a visual communications production company with recognized TV commercials, graphics packages, broadcasts, 2D and 3D motion graphics, video editing, Sports/Game Day production animations, medical animations and corporate event media. 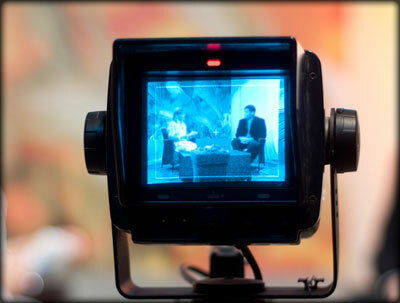 VOG’s range of creative services reflects our commitment on delivering video expertise at affordable pricing.